Who is ready for a SPAM pie? I stumbled across this in the archives the other day and it had me chuckling so much that I knew I had to repost it. 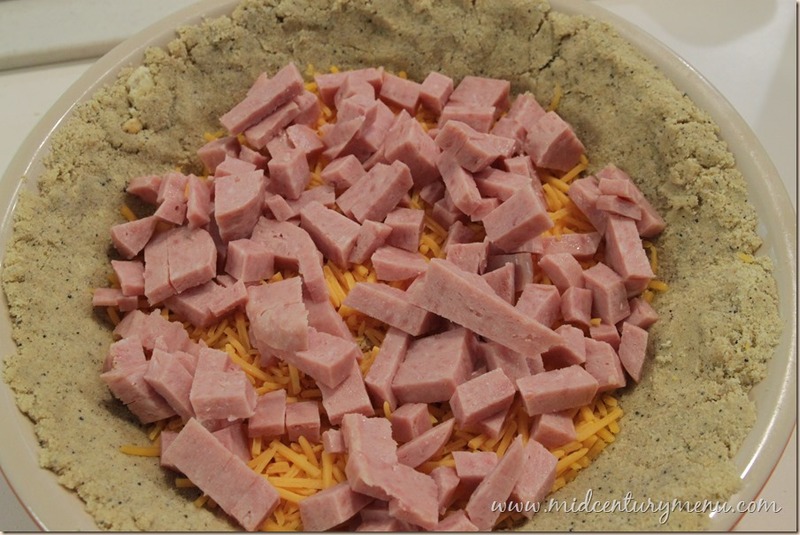 I mean, you can’t make a pie with SPAM in it and then just let it go, right? Anyway, enjoy this spammy pie! So, this is a Spam pie. 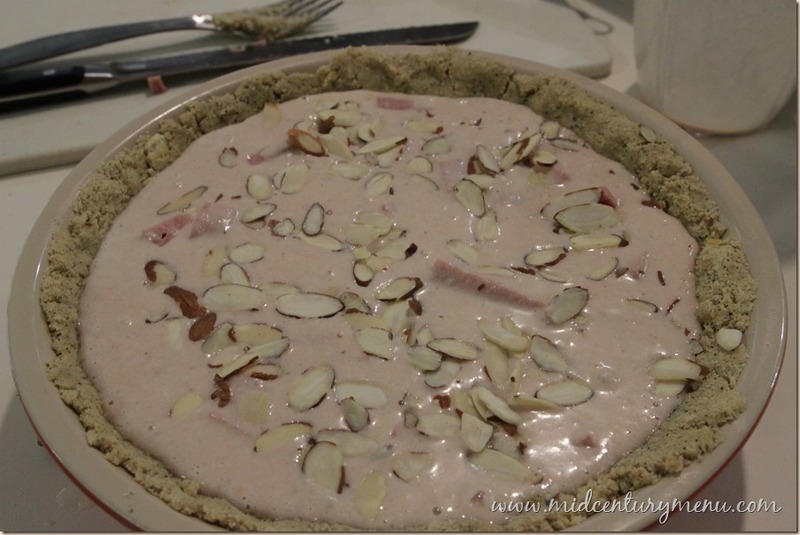 A Wham Spam Pie. Which might be the best name for a recipe pretty much ever. Yeah, let’s just…you know…look at it for a while. It’s a pie. Made of Spam. And it doesn’t just have Spam in it. The pie itself is actually LIQUID Spam baked back to solidness. Use a deep 9 inch pie plate. Melt butter in pie pan. (Ruth's Note: I melted the butter in the microwave.) Add cracker crumbs and mix thoroughly. Press crumbs in to bottom and sides of pie pan evenly and firmly. Bake for 5 minutes at 375 degrees. 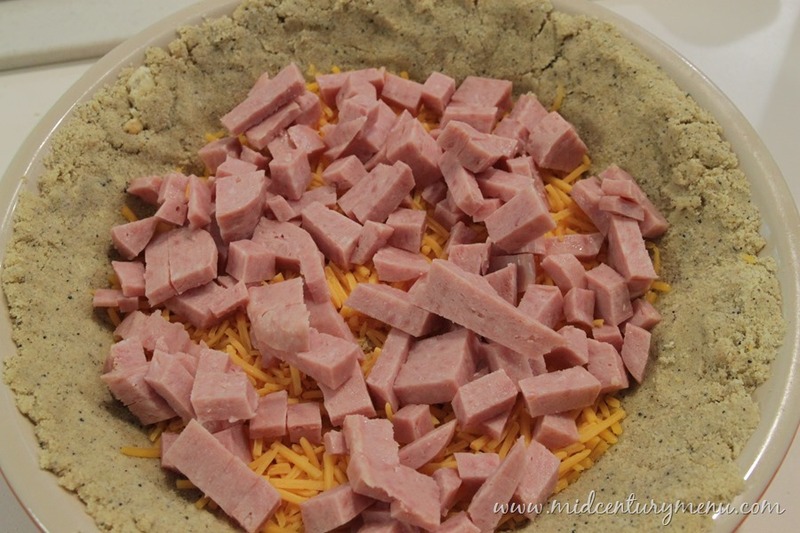 Add cheese evenly to baked crust, then chopped Spam, then filling. 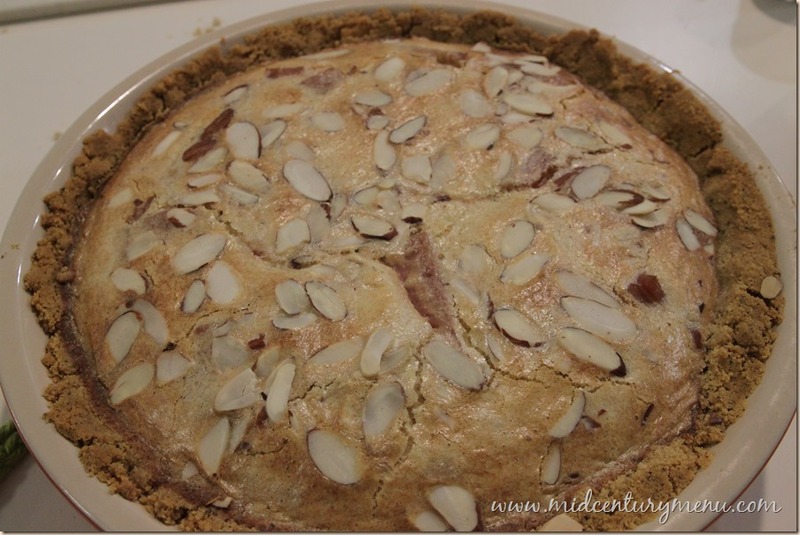 Sprinkle almonds over the top. With almonds. Can’t forget about the almonds! The almonds make it classy! In a side note, this recipe called for onion crackers, and good luck finding those. I thought there was still an onion cracker made by Keebler (Toasteds? Is that right?) but I checked three stores and no one carried them anymore! Or any other kind of onion cracker, for that matter. 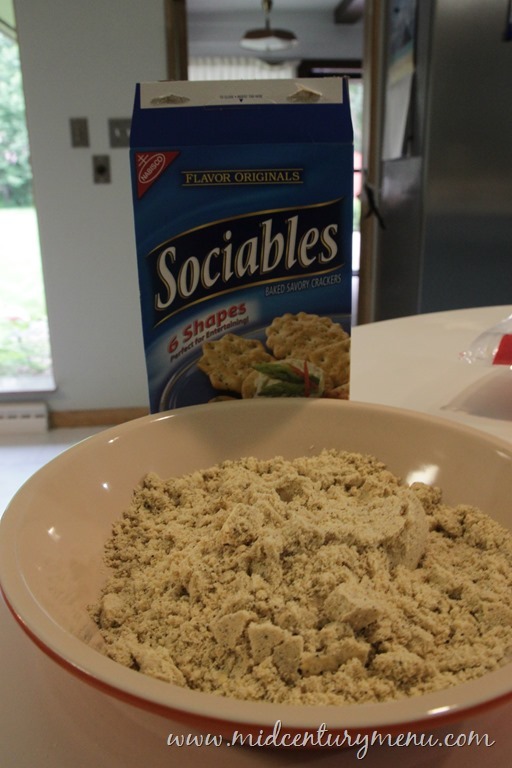 Sociables was about as close as I got. I think there is onion in there somewhere, among many other flavors. On the other hand, there were about a hundred different kinds of garlic flavored crackers to choose from. Just an interesting glimpse into the way that food trends change! This is an interesting glimpse at processed Spam, which is…some sort of Spam milkshake. I love the way the filling turned out a pretty pastel pink from the liquid Spam. That’s totally not weird at all, right? But it all came out right in the end. I mean, as right as is can when you are making a Spam pie that is filled with more Spam. The Verdict: It almost tastes like a quiche. Not bad, but there are a lot of things not quite right about it and that made eating it was a little unsettling. The cracker crust was a little off. The Spam filling was good (if you like Spam) and a little like some sort of egg bake, but also was wet and a tad slimy. I think adding the pureed meat kept the filling from firming up like it should. 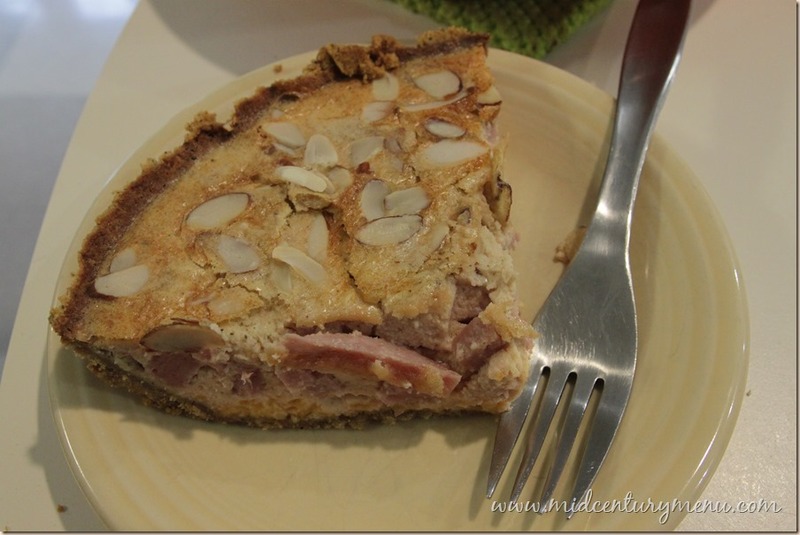 Would have been better with just chunks of Spam and cheese in a quiche rather than blending the Spam into the filling. And probably faster, too. I love spam but don’t dare buy it. Plus it is no longer a economy meat when I can get $.87 hot dogs!—-OK one can. I’ll hide it in the back of the fridge behind the rabbit food.— Spam ,cheese ,onion, bread .Lube with mayo layer and repeat! 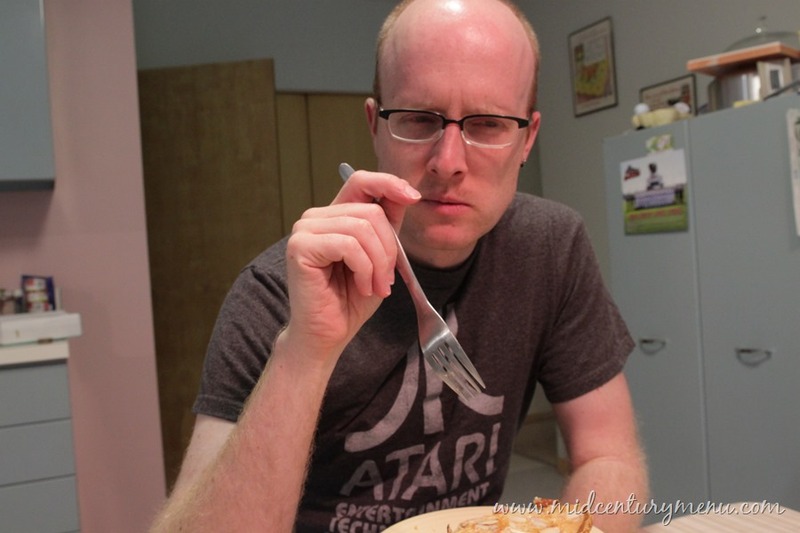 When my kids were still young enough to be doing homework at my table, I taught them that adding Spam (the food, not the internet problem) to their writing increased the funny-ness quotient of any topic by 25%. 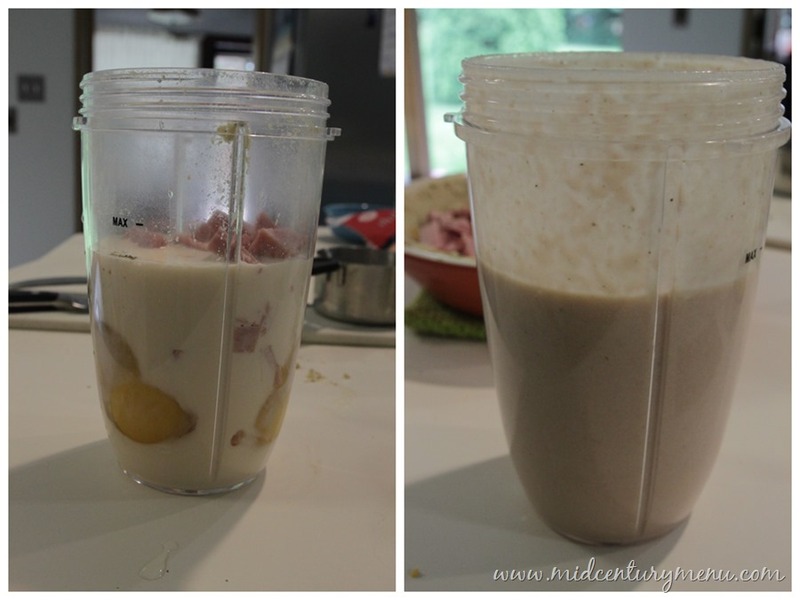 The words “Spam milkshake” shall haunt my dreams.